Caroline’s previous experience has been at National Level in athletics. Having worked in the City for over ten years as a Broker before joining the fitness world, she understands the challenges that City workers face when it comes to fitting in exercise and fixing back pain issues. She is passionate about taking a holistic approach to training by looking at nutrition and lifestyle habits as well as helping clients achieve their fitness goals. Mobility comes first, followed by fitness and strength training. 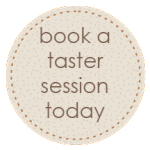 The client’s sessions are always tailored towards their own personal goals in a safe way.